Dee has a Master's Degree in Social Work from UW-Madison with an emphasis in families and children and she is licensed as an Independent Clinical Social Worker. 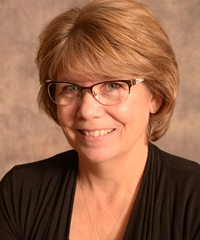 Dee has provided service in the Fox Valley area since 1983, working in a variety of settings with adults and children. Dee has been in private practice since 1998. Her area of expertise includes working with adults, adolescents, and children with anxiety, OCD, and depressive issues. Dee has over 25 years of experience working with parents and children on behavioral issues, and enjoys working with couples on marital, divorce, and blended family issues. Dee was one of the first therapists in the Fox Valley to provide specialized services to young children and their families. She has extensive experience working with children 2 1/2 years and older along with their parents, and has provided supervision to anxiety, play therapy, attention deficit disorders, and marital therapy.